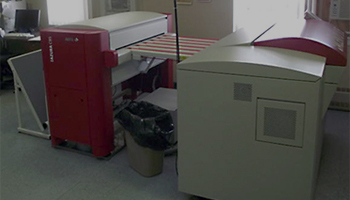 In our printshop itself, we operate with six offset printing presses capable of producing full colour finished products. 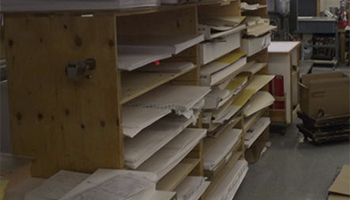 We have two large format cutters, two numbering presses and an experienced staff who love taking on new challenges. In our design shop, we have not one, but two BIZ HUB Pro copy machines capable of producing full colour products and perfect binding them, all at the same time. 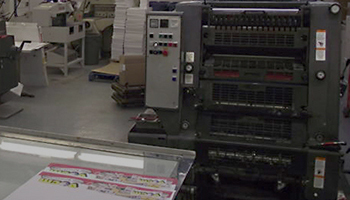 We can design and print to your specific needs using our state of the art printing equipment. In our collating department, the staff take the products directly from the presses and prepare them for our customers using state of the art stapling, folding, collating, numbering and packaging equipment.